Would be worst disaster on Atlantic Run is the 52 persons aboard are not found. Paris, August, 2, 1948 (U.P.) 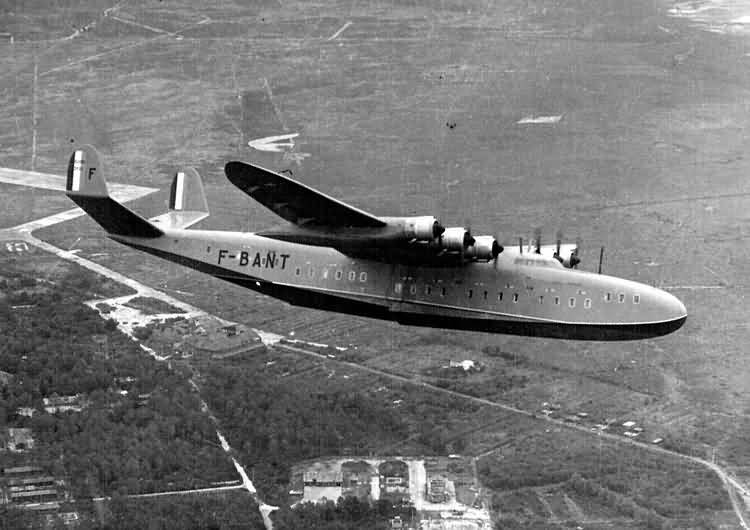 Sea and air units searched the mid Atlantic some 1,400 miles west of Africa coast today for a huge, six engined French Flying boat missing with 52 persons. The plane, the largest commercial airliner in the world, was last heard from 8 P.M. EDT Saturday. It disappeared on a flight from Fort De France, Martinique, in the French West Indies, to Port Etienne, French West Africa. The missing plane carried 40 passengers and a crew of 12. No passenger list was available in Paris. French Naval authorities ordered a warship and naval planes from Dakar to the search area and ships at sea were notified to be on the lookout. Air France sent two long range planes to join the search, one a Latecoere 631, a sister ship to the missing plane, and the other a long range Air France Constellation. The U.S. coast Guard cutter Campbell, on patrol duty in the mid Atlantic, notified that U.S. embassy that it was steaming to the last known position of the giant sky queen. The missing plane left Martinique at 10:50 a.m. (EDT) Saturday and was scheduled to arrive at Fort Etienne at 9 p.m. It was last heard from at 8.p.m. when it gave its position and said all was well. The position given by the plane was about 1,400 miles short of its destination in an area some 850 to 900 nautical miles northwest of the Cape Verde Islands. The U.S. Embassy notified Air France that an American radio station in the Azores had picked up a distress signal. The time of the message was not known. The U.S. Coast Guard said the Campbell was 420 miles away from the last reported position and was expected to arrive in the general area of the search at 6 p.m. (EDT). American planes are stand9ng by to join the search if the French request it. Should all aboard be lost, it would be the worst disaster on the Trans Atlantic run and the third worst aviation disaster in history. The giant flying boat is the largest commercial airliner now in use with a takeoff weight of some 83 tons. (332,000 lbs). It is 141 feet long and has a wingspan of 786 feet. It is powered by six 1,600 hp engines giving it an effective range of about 3,000 miles at cruising speeds of 200 miles per hour. As with all disasters , especially aircraft that are missing, the rumor mill runs wild. Just like the story printed on August 5, 1948. Paris, Aug. 5 (U.P.) The French press agency said today that Air France had received a dispatch saying the Latecoere 631 flying boat missing in the South Atlantic since Sunday had been found with all 52 aboard alive. After its dispatch reporting the discovery of the plane, the news agency circulated another from Dakar saying the search had been futile. The possibility was seen, but not confirmed, that it was delayed and had been superseded by the discovery report. The agency dispatch reporting without immediate confirmation the discovery of the big flying boat was from Marseille. It said Air France the national air line which operated the plane, had been notified. Air France headquarters in Paris said it had no information tending to confirm the Marseille dispatch. The press agency itself cautioned that the report should be “Treated with reserve”. 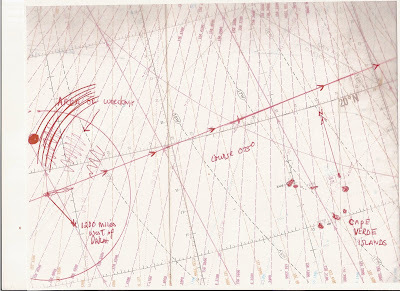 According to the unofficial report, the craft was found 120 miles south of the point from which it last reported all well about midnight Sunday. It was flying from Martinique to West Africa with 40 passengers and a crew of 12. The last radio report was sent from a point some 1,400 miles west of the African coast and 800 to 900 miles northwest of the Cape Verde Islands. Five days after the ill fated aircraft left Martinque, aircraft debris was spotted floating on the surface of the ocean by the U.S.C.G. Campbell. New York, Aug 8…Charred seat cushions and other debris found in the South Atlantic near the last reported position of a missing six engined Air France flying boat indicated that the craft exploded killing all 52 persons aboard, the Coast Guard reported today. However, the captain of the Coast Guard cutter Campbell radioed from the scene, 1,200 miles west of Dakar, that search for survivors would be continued in the hope that some might yet be found alive. The plane disappeared Sunday. The report from the cuter said, that the sea in the area, only 65 miles from the normal course of the French airliner, was covered with debris. Among the items picked from the water were leather trimmed, rose upholstered seats, bits of plywood tabletop and a locker door. The plane seats, built on painted aluminum frames, were still joined together and were hauled aboard the cutter with grappling hooks. 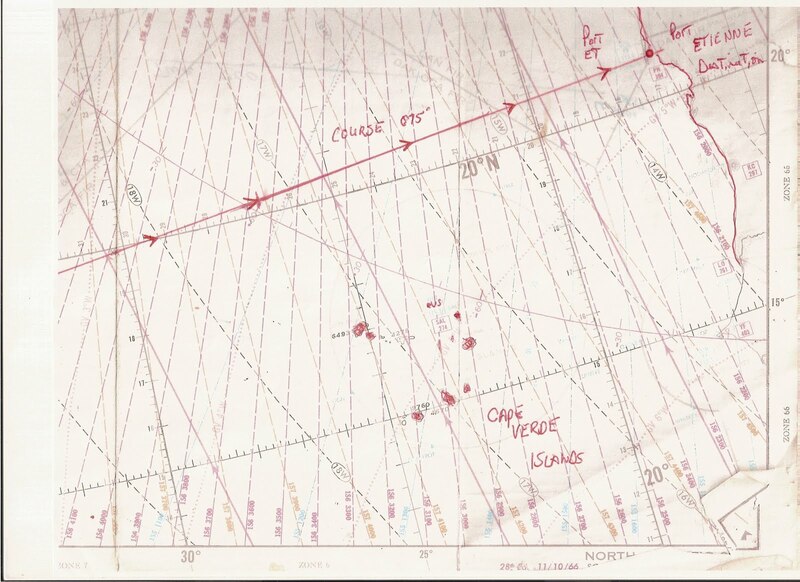 The floating wreckage was first sighted by a B-29 which guided the Coast Guard cutter to the scene. The 73 ton airliner, the Latecoere 631 disappeared Sunday on a routine flight from Fort –De- France, Martinique, French West Africa. The passengers were mainly Britons, Frenchmen and Colombians. According to the article the 631 was lost 1200-1400 miles west of Port Etienne or 850 to 900 miles NW of Cape Verde Islands. 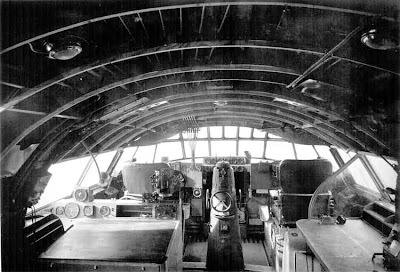 The aircraft left Fort De France, Martinique at 10:50 a.m. (EDT) and was due to arrive at 9:00 p.m. (EDT). The total distance of the trip is 2370 nautical miles. According to the newspapers the total flight time was 10:50 minutes, which if calculated correctly gives a rough ground speed of 219 knots. 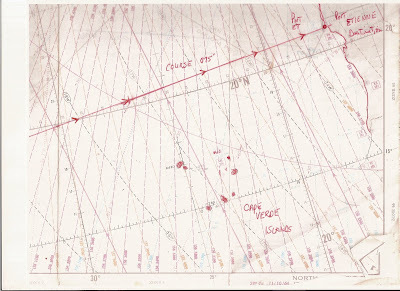 The charts show a rough course of 075 and the area where the Campbell would have spotted wreckage or as close as possible with the info available. of the large, long-range commercial flying-boat. flown over last week from Biscarrosse to the B.O.A.C. for 3,700 miles against a 37 m.p.h. headwind. flight over the same route. above it at its extremities. onwards Wright engines giving 1,890 h.p. will be installed. fully feathering, electrically controlled airscrews are fitted. two convertible armchairs, a bedding locker, and a wardrobe. These are screened from the corridor by curtains. seascape immediately ahead is obtainable. reading is, perhaps, best left unrecorded. perhaps, more impressed by the 631 than anyone else. Ferrat while on a test-flight. 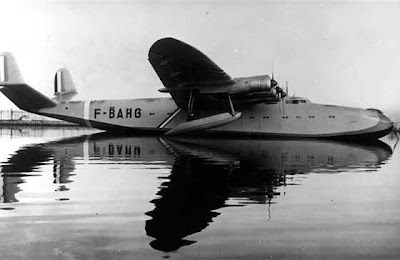 The Latecoere flying boat had been based in Africa to fly cotton from Lac Lérè in Chad to Douala. On a flight to Biscarosse, France for routine overhaul the aircraft entered a tropical storm. The wing broke, probably as a result of winds hear, and the aircraft crashed. This was the last active Latecoere 631 flying boat. 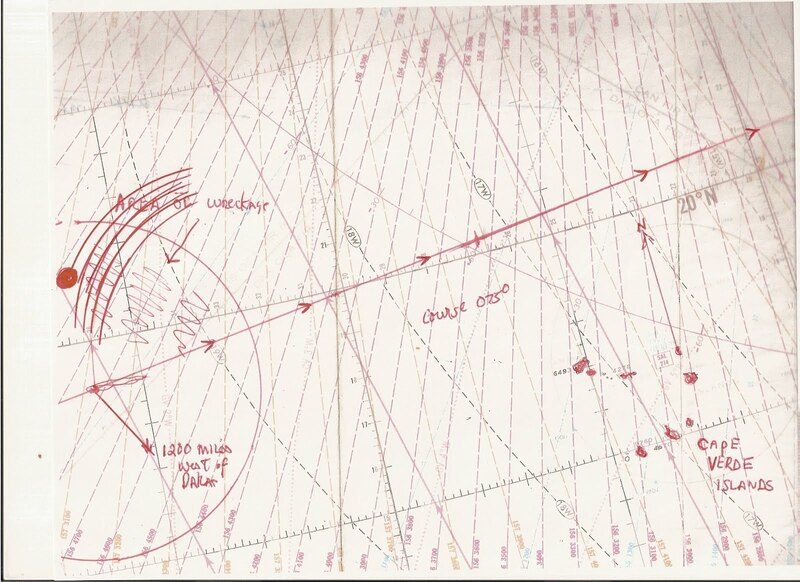 Plans to convert some stored 631s for cargo transportation were not carried out; all remaining planes were scrapped. Fabulous post for my all-time favorite airplane. And one I consider the most beautiful flying boat bar none. Thank you for the historical discovery! Very interesting. I remember flying Douglas Dakota and such, but I sure would have liked piloting one of these "cruise ships".